The Homeland Security Department says TPS status for El Salvador will end in September of 2019. Immigrants, activists and elected officials denounced the plan at a news conference in New York Monday. The Trump administration says it will end the temporary protected status that has allowed some 200,000 natives of El Salvador to live in the U.S. without fear of deportation for nearly 17 years, the Department of Homeland Security says. In announcing the designation's end, DHS Secretary Kirstjen M. Nielsen also said she's extending it for another 18 months, to Sept. 9, 2019 — a delay that her agency says is to ensure "an orderly transition." When asked whether the move would result in U.S. customs officials targeting Salvadorans who try to remain in the U.S. without documentation after September of 2019, an administration official on a briefing phone call said that the agency's top priority remains the deportation of criminals and people deemed dangerous to society. But he added that Homeland Security would not "exempt entire classes of people." The move upends a status quo that has existed since 2001, when President George W. Bush extended temporary protected status to Salvadorans who were in the U.S., after major earthquakes devastated parts of El Salvador. As NPR's Carrie Kahn reports, "The vast majority of [Salvadorans] that were here in the country living illegally at the time had fled in the 1980s and '90s, during the decades of the U.S.-backed civil war in the country and unrest there." People who live in the U.S. under the TPS program have done so under a series of 18-month extensions that have rendered it semi-permanent — a condition that has been welcomed by immigrants and criticized by those who want to see a strict overhaul of U.S. border controls. To maintain their work authorization, TPS immigrants pay hundreds of dollars in fees for permits every 18 months. The U.S. government says Salvadorans with TPS must register one more time if they want to keep working through the fall of 2019, but it added that it wasn't yet announcing the final re-registration period. In a news release about its decision, Homeland Security said that Salvadorans should use the 18-month delay to either leave the U.S. or "seek an alternative lawful immigration status in the United States, if eligible." The agency also called on Congress to act, saying that only a change to U.S. law would provide a "permanent solution" for people who have for years been living and working in the U.S.
"The 18-month delayed termination will allow Congress time to craft a potential legislative solution," DHS said. The Trump administration's move quickly drew criticism from immigrants' rights and advocacy groups. While acknowledging a need for Congress to change U.S. immigration laws, Refugees International President Eric Schwartz said via a statement that it was "baffling and mean-spirited that the administration has sought to hold the fate of these people hostage to such action." Another group unhappy with the decision is Amnesty International USA, whose Marselha Gonçalves Margerin, advocacy director for the Americas, called the TPS termination "a devastating betrayal for thousands of families who arrived at the United States seeking safety as well as their U.S. citizen children." Margerin added, "If forced to return to El Salvador, mothers, fathers, and children could face extortion, kidnapping, coerced service to gangs, and sexual violence." TPS immigrants' home countries have often lobbied to maintain the status, in part because it smooths the process both of finding work in the U.S. and of sending money back home. In the case of El Salvador, the U.S. said on Monday that the problems brought by the earthquakes "no longer exist." But the country remains wracked by violence and poverty, and it has benefited from its citizens' ability to work in the U.S.
"Remittances are at an all-time high," Carrie reports. "Those are dollars coming back home from relatives abroad. That accounts for nearly a fifth of El Salvador's GDP. That's a huge loss to such a poor country." When President Trump took office, a total of more than 300,000 immigrants were allowed to live in the U.S. legally under the TPS exception. 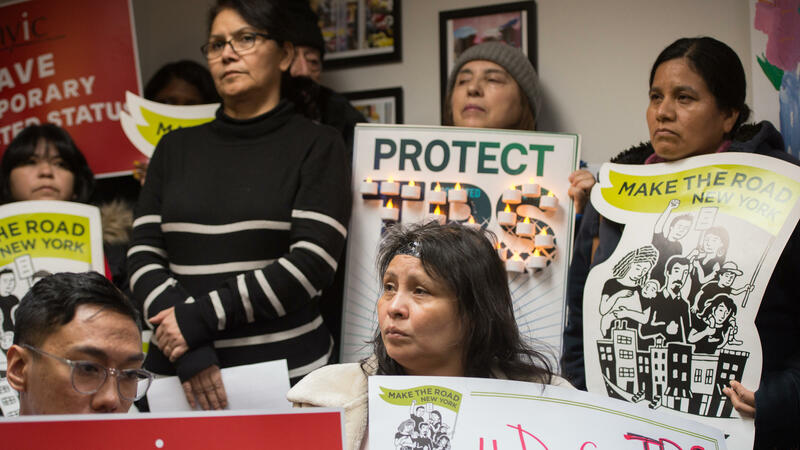 Of that number, the majority were originally from El Salvador; the two other main nationalities with TPS status are Hondurans — some 57,000 of whom will learn their fate in July — and Haitians — about 46,000 of whom have already been told their TPS status will end. Last week, Homeland Security said it would end TPS status for Nicaragua, which has some 2,500 citizens in the U.S. under the protective status. Other countries whose citizens in the U.S. are protected under TPS rules include Nepal, Syria, Sudan, Yemen, Somalia, and South Sudan. 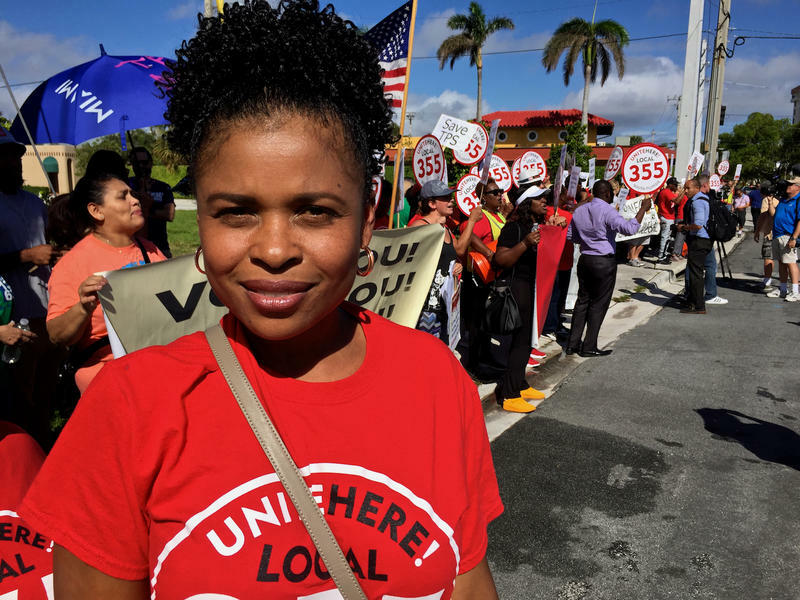 Miami city commissioners unanimously passed a resolution on Thursday urging the federal government to extend Temporary Protected Status (TPS) for Haitians and Central Americans and to find a permanent solution for Dreamers under DACA. This resolution was sponsored by every commissioner and the mayor. The designation offers temporary U.S. residency to immigrants fleeing disasters and political instability in their homelands. The leader of Miami-Dade County public schools sharply criticized the Trump administration’s immigration policies Tuesday morning during a keynote that sounded like part stump speech, part sermon. 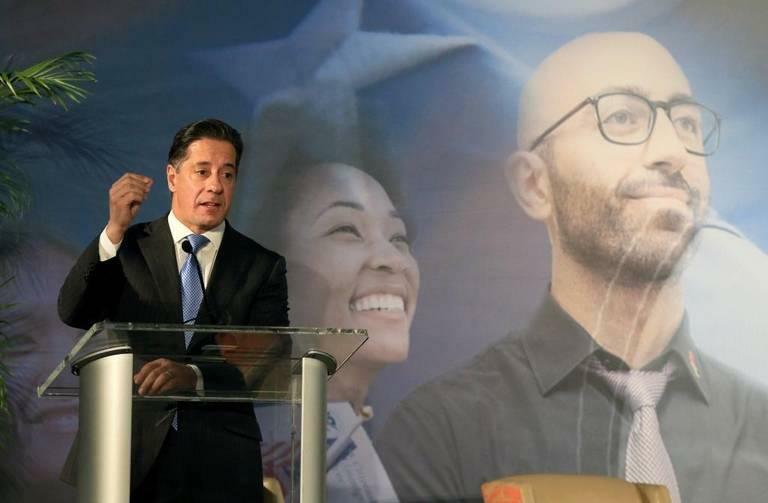 Superintendent Alberto Carvalho delivered an impassioned address opening a bipartisan summit on immigration reform at the University of Miami, relating his own “journey” as a Portuguese immigrant who was once in the U.S. illegally.